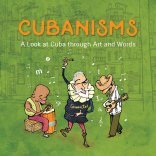 Author Pedro Menocal talks Cubanisms with Rudy Perez, Jon Secada, Javier Romero, Lena Burke, Adriana Catano, and other celebrities! ????? ?